Want to give your home decor an update to keep it looking on-trend? There’s something about a new year that makes the idea of a fresh look and fresh approach so appealing. 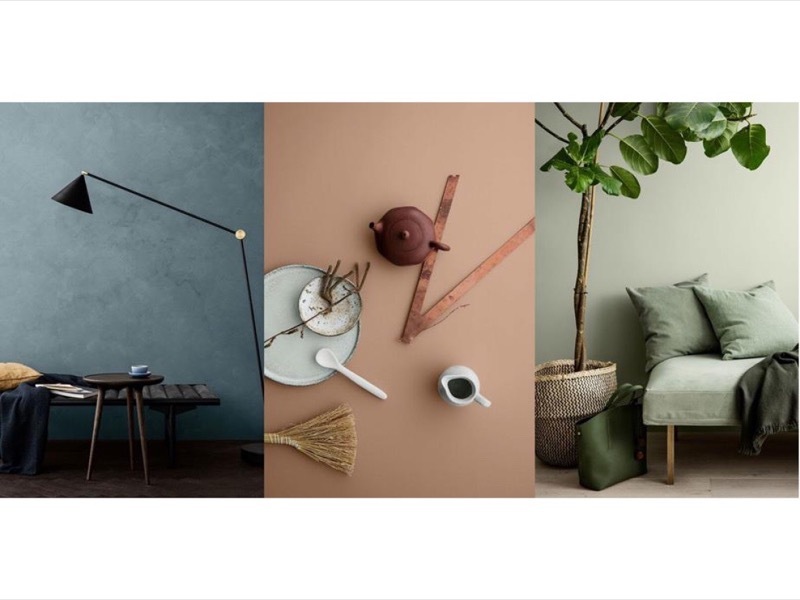 If you have been feeling like your home interiors could do with a refresh, you are in luck as Hong Kong is home to some amazing interior design and homewares brands. We spoke with some of the leaders about what are the top interior design trends for 2018. The increased popularity of multi-functional spaces in the home will be one of the key interior design trends for 2018, according to Ellie Bradley of interior design studio, Atelier Lane. Ellie, the studio’s chief executive and creative director, also predicts that earth tones and neutral shades of blues, greens, greys, and ochres will dominate when it comes to colour. Another trend will be the use of unexpected fabrics and materials for homewares, such as concrete for pendant lamps, linen for bedding, bamboo for floor rugs, and marble for surfaces. Ellie says there are many ways to incorporate these trends into your home, even if space is limited! One way to do so is to consider a smaller piece of furniture, such as a sideboard or a bookshelf. Altfeld Interiors was founded by Amanda Clark and David Halperin, and stocks many of the world’s leading fabric, wall covering, hardware, leather and lighting lines, as well as producing its own furniture and homewares. Amanda says we should expect to see geometric print fabrics and sophisticated stripes dominating this year. “They can break up large monochrome spaces and add pattern, without being too fussy or feminine,” she says. Another strong theme in interior design trends for 2018 will be incorporating a mix of cultures in interior schemes. “Mixing cultures and patterns can create a lot of visual interest and reflect where people have travelled and represent a global outlook,” she says. Amanda recommends employing some of the new styles in Hong Kong’s smaller homes through cushions. “Colourful and patterned cushions are a wonderful way to incorporate the geometric fabric trend into Hong Kong homes,” she says. “Cushions are a quick and accessible way to add interest to the interiors, and can be easily replaced and refreshed, if necessary.” Amanda says another good way to update interiors is through the use of trimmings, which she describes as like “jewellery for the room”. This can be done through contrasting coloured piping to upholstered furniture, for example. “Another tip to update the look in smaller homes, such as those in Hong Kong, is to consider using unlined curtains, or contemporary sheer fabric at the windows which give privacy but allows light in,” she says. elegance and luxury,” she says. Sustainable furniture store TREE is well-known for its eco-chic range. Managing director Kate Babington predicts 2018 will be dominated by the interior design trend of a growing need to connect with nature, either through furniture pieces crafted from natural materials such as reclaimed wood, or by incorporating greenery into the home. “Textures have also been a central focus this past winter as they add a tactile softness and lovingly layered appeal, and, when done with natural fibres such as raffia or rattan, can be easily updated to suit the warmer months,” she says. According to Kate, it’s easy to incorporate these looks in Hong Kong homes. “Sustainable style can work for any home, no matter how large or small your space is!” she says. “When investing in solid, eco-wood furniture, keep an eye out for space-saving design, such as nesting tables and modular wall boxes.” Kate says greenery is a wonderful, natural way to update your home’s interior in 2018. Meanwhile, other quick updates can be made by rearranging the display items on your shelving and your art. “Colour coordinate your literature by keeping the same coloured book spines together, and, for added interest, turn some of your books horizontally. Complete the look with a mixture of finishing touches, such as bowls, sculptures and framed artwork or photos.” Painting an accent wall can bring new colours into your home.